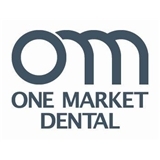 One Market Dental (San Francisco) - Book Appointment Online! Dr. Robert Findlay earned his Doctor of Dental Surgery degree at the University of the Pacific, graduating in 1984. While in dental school, he excelled in clinical care. Dr. Findlay now has almost 30 years of experience in dentistry and continues to attend continuing education courses on a regular basis. He is also a member of a study club with other professionals. Dr. Findlay is a member of multiple professional organizations, including the American Dental Association, the California Dental Association, and the San Francisco Dental Society. In addition, he is a preferred provider for Invisalign®. At Findlay Dental Arts, Dr. Findlay and his dental team strive to provide excellent dental care in a safe and professional environment. Dr. Findlay constantly works to improve his abilities as a healthcare provider and a person through lifelong learning. He focuses on making each patient’s dental visit as pleasant and fun as possible! Loved Dr. Findlay and his entire team! !